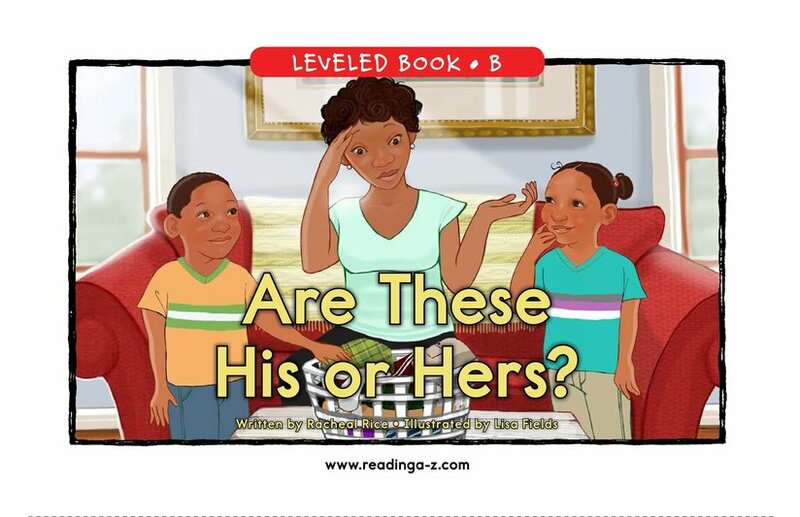 > Books > Leveled Books > Level B > Are These His or Hers? 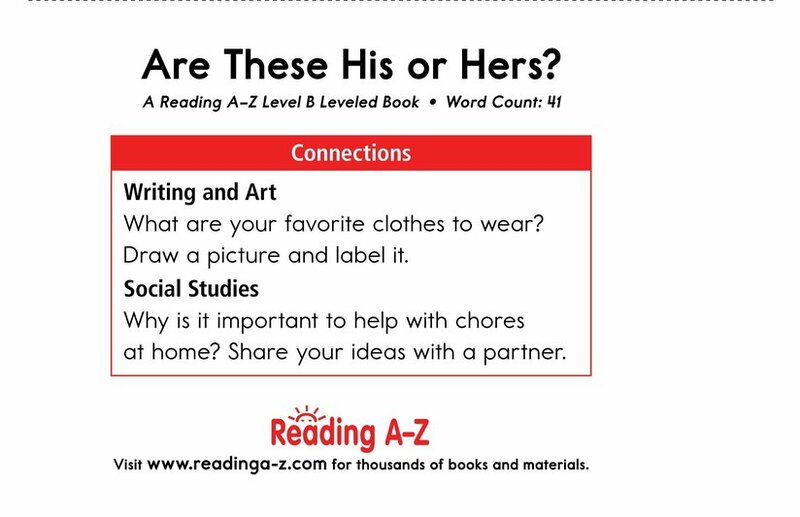 Are These His or Hers? 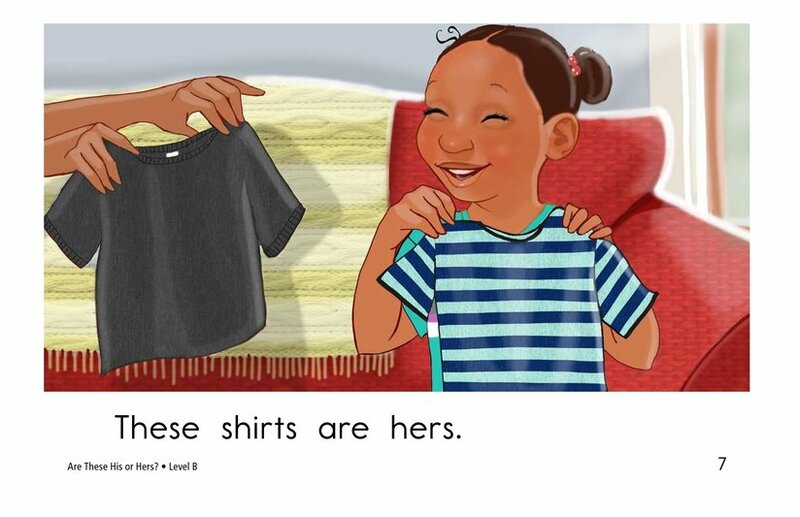 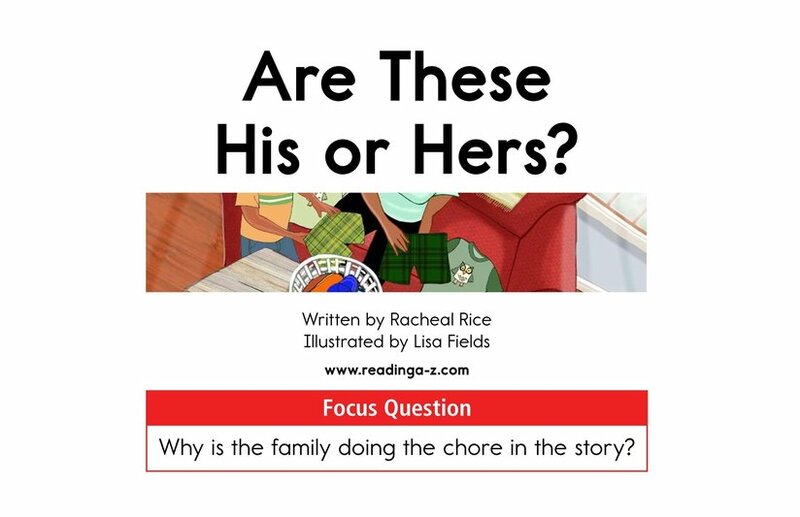 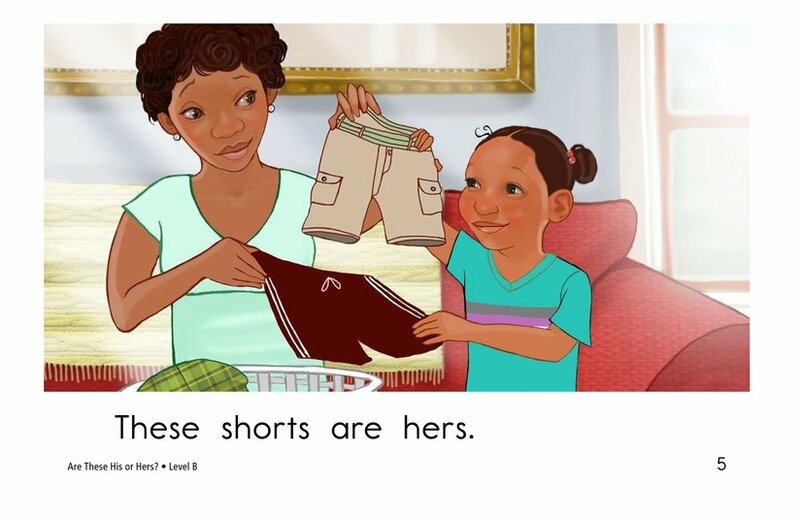 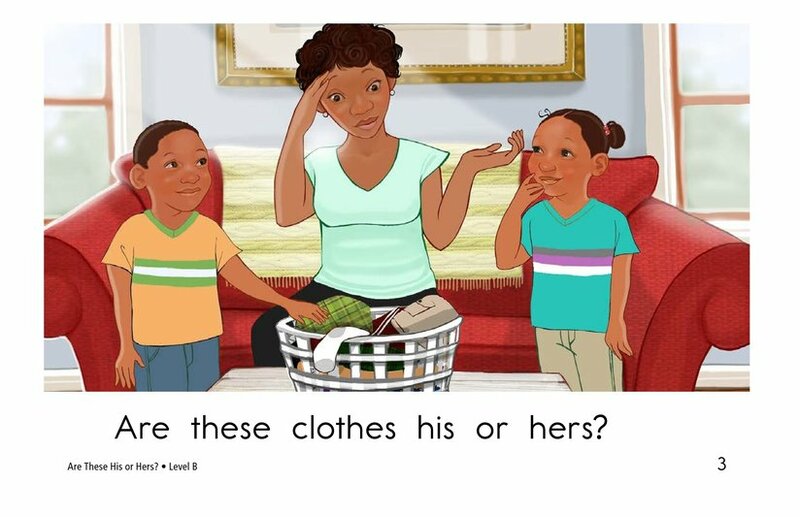 is a delightful book about a brother and sister who help their mom as she sorts through the laundry basket to determine which items are his and which are hers. 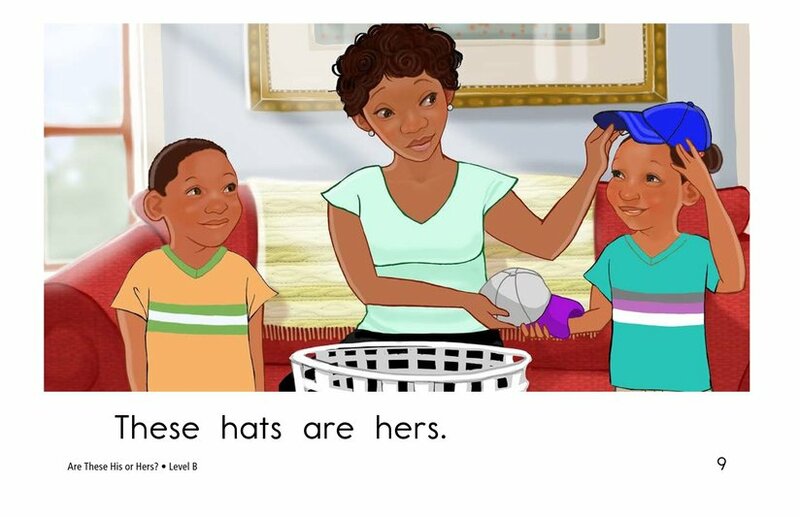 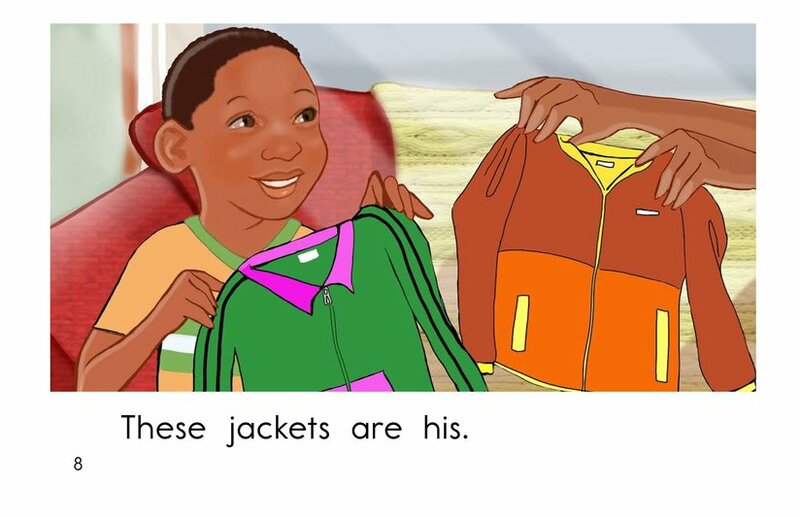 Colorful illustrations support engaging text. 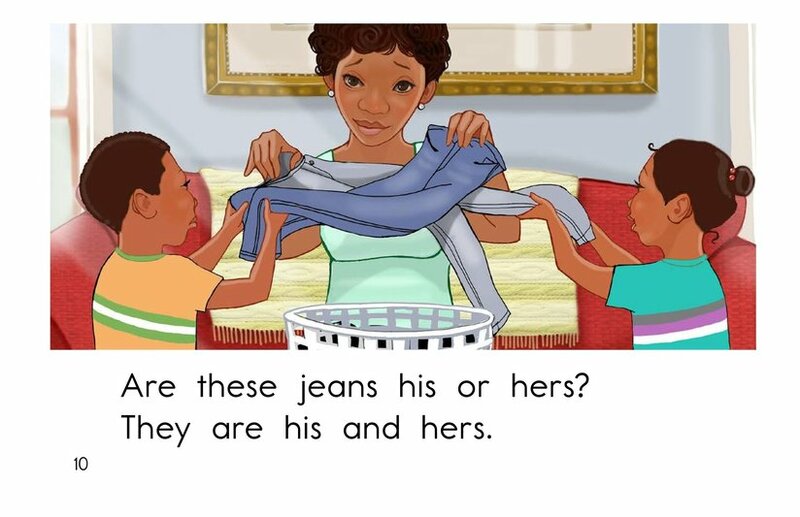 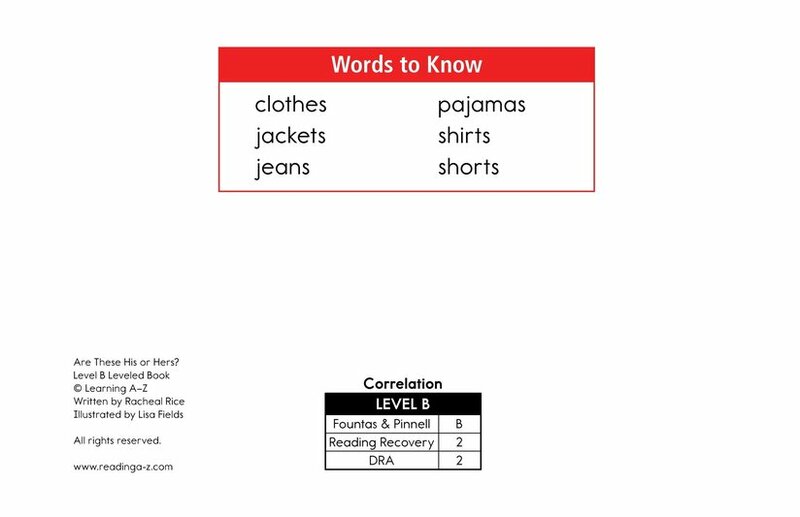 This book can also be used to teach students to classify information and to visualize.